38 North announces the release of the updated 3D panorama of the Sohae Satellite Launching Station (also referred to as Tongchang-ri). 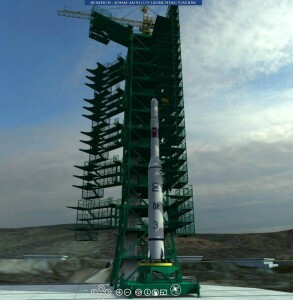 This panorama offers a reconstruction of the launch pad at Sohae, with additional details based on satellite imagery and photos of the facility. It allows the user to view the the full look of the tower, from several angles and levels. Future releases will reconstruct other facilities in the area, including the vehicle processing building, satellite control command center and fuel storage buildings. Explore this new interactive panorama of the launch pad at Sohae here.